Climbs Quickly’s names for Stephanie and Karl are Death Fang’s Bane and Shadowed Sunlight. The treecats can also, which the humans do not know, talk among themselves telepathically. In this second novel, Fire Season, cover also by Daniel Dos Santos, Stephanie is almost 14. She has acquired an older big-brother/boyfriend, Karl Zivokin, largely because he is practically the only Terran besides Stephanie who accepts Lionheart/Climbs Quickly as an equal individual instead of as a cute pet. As the only two probationary rangers in the Sphinxian Forestry Service, they are often assigned to work together, which suits them just fine. Fire Season on Sphinx is very late summer, when the vast Forest grows increasingly dry and fires are a particular danger. Fire is part of nature’s ecological balance, necessary to thin underbrush and to help some plants to germinate. Yet this is cold comfort to the arboreal treecats, who are lucky when they lose only their homes and not clan members. Fire Season begins when Stephanie, Karl, and Climbs Quickly are in an aircar giving Stephanie an unofficial piloting lesson. They see a fire burning out of control on private land, and arrive just in time to save two treecats. <Are you badly burned?> Climbs Quickly asked Left-Striped. It is determined that the fire was the result of human negligence. Before this can be investigated further, an officially-invited off-planet team of xeno-anthropologists arrives on Sphinx to study the treecats. The team is headed by Dr. Bradford Whittaker, who has brought his teenage son Anders as a lab assistant. Dr. Whittaker is an egotist who can’t believe that rules apply to him, too. When the Sphinxian Forestry Service establishes guidelines to ensure that the treecats are studied discretely and not as intrusively as Dr. Whittaker would like, he orders his son to romance Stephanie Harrington to get her to “tell all” about the treecats. Anders, who has begun to develop genuine feelings for Stephanie, feels both embarrassed and insulted. The main focuses (foci?) of the novel are the human adolescents of the town of Twin Forks on Sphinx and their developing relationships, and Dr. Whittaker’s schemes to get closer to the treecats, which are well-told. What Furry fans will be interested in is the treecats’ parallel story. Despite Climbs Quickly’s vouching for them – for most of them, because they have run into murderous human villains in previous adventures (A Beautiful Friendship; the story “The Stray” in the anthology Worlds of Honor) -- many treecats remain skeptical of getting any closer to the humans than they have to. They consider Climbs Quickly to be overly trusting because of his personal emotional bond with Stephanie Harrington. Ironically, Dr. Whittaker distrusts Climbs Quickly and the few other treecats that have been treated by Stephanie’s veterinarian father for the same reason: they have become “tainted” by their contact with humans. He insists on studying only wild treecats who have not associated with humans. <Go away,> said a big male who had introduced himself as Nose Biter, including with the name a short but very vivid image of how he had earned the title. Climbs Quickly had no doubt that out there was one snow hunter who – no matter that it had been quite young at the time – would never ever go near one of the People again, much less make the mistake of thinking one might serve nicely as the main course for lunch. However admirable as Nose Biter’s ferocity was in defense of self and kin, it was misdirected and just plain stupid now. <We are,> growled Nose Biter. As is typical with Young Adult novels, the adolescents have to struggle to save the hidebound adults from themselves, in both humans and treecats. Fire Season ends with the treecats still not having revealed their true intelligence to the humans – they could not, since they still have not by Honor Harrington’s time -- but having revealed enough of it that nobody can dismiss them as dumb animals anymore. It helps to have read A Beautiful Friendship first, but Fire Season stands nicely on its own and is a satisfying adventure for Furry readers. From what I hear the last format for a title to be released is normally Kindle. They charge the writer $400 to go to kindle. But I only buy books these days if they are kindle. This being a David Weber novel from a major publisher, I imagine that you can read it for free from your public library. I had not known that about Kindle books. That would mean that one of my own books that is available in a Kindle edition, Already Among Us from Legion Publishing in Birmingham, must have been paid for by the publisher. I'm not sure where you're getting that from . . . Amazon's pricing page for direct publishing focuses solely on royalties. Perhaps you're thinking of some kind of book-scanning service that has the additional fee? For books published via CreateSpace there is a $25 flat fee for expanded distribution, and there can be a fee for an ISBN (which is better for one work than the fee you pay at the main U.S. ISBN site, but a bad deal if you want them in bulk). Incidentally, Flayrah is on Kindle and I've only ever paid a royalty for that (though it goes through different distribution). *confused* You aren't charged to publish via Kindle. 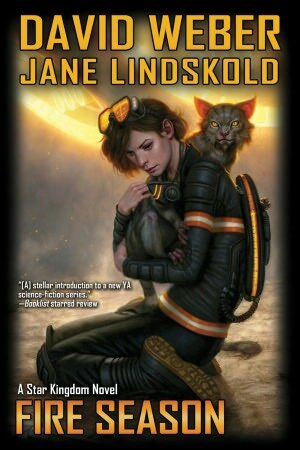 And anyway, for Beautiful Friendship you'd be going through Baen's private e-book selling service, where it's available for... $6 US, I believe? In every conceivable e-book format.